Poo de Cabrales – really not poo at all! 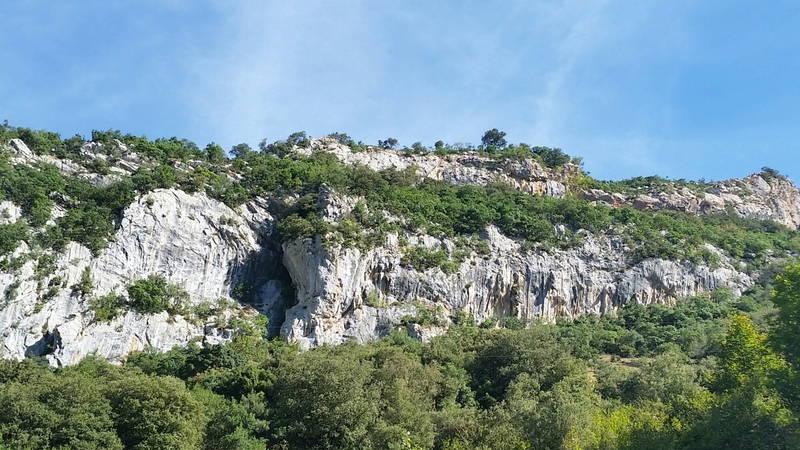 We’ve moved base around to the north of the Picos, near Arenas de Cabrales, having explored most of the crags in the Desfiladero de la Hermida. 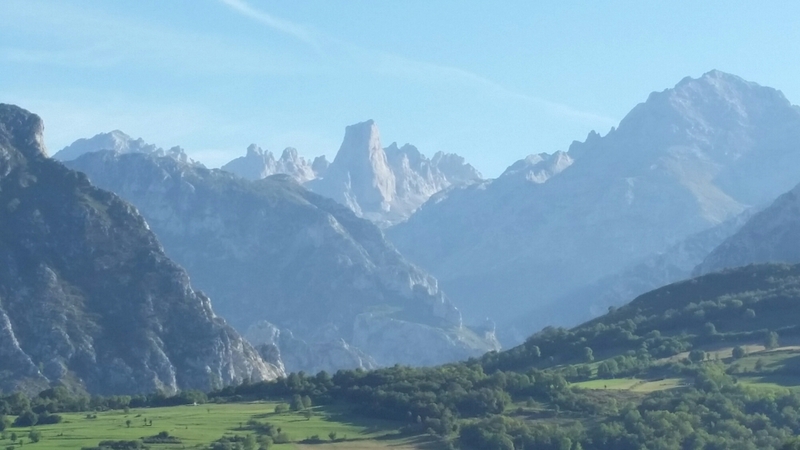 We’re rewarded with our first sighting of Picu Urriellu or El Naranja de Bulnes as the iconic peak of the Picos is also known. The parking for the main crag in the area, Poo .., is also a viewpoint for El Naranja. Anyway, this turns out to be a great crag – half a dozen sectors and about a hundred routes, with a lot of tufa to play with. 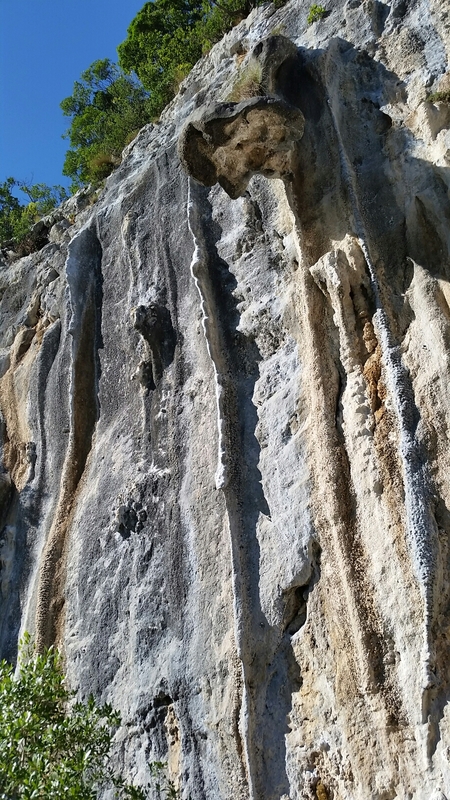 Moving on to some steeper stuff, I just about managed to wrestle my way up the perfect tufa “pipe” of Cencerrada, 7a, and then had just enough energy for Poolymnos, the adjacent 6c. Our most productive day of the trip so far, in terms of ticks. Day 2 started with something of a jolt back down to earth, with one of the toughest 6a+ in the world. We then moved onto the premier Poo sector, Chorreras (which means tufa, imaginatively) which happily was just moving into the shade. 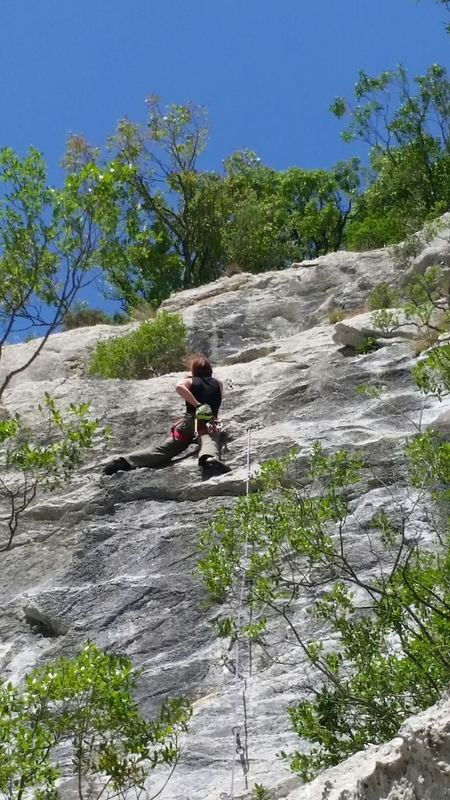 In my haste to jump onto one of the fantastic lines, I managed to accidentally choose a 7a+, and finally ground to a halt a few metres from the chain. By the time I found the 7a I’d originally planned to do I just didn’t have quite enough in the tank. Must pay more attention next time!